Restoration of the historic Great Synagogue in Ludza, Latvia — dating from around 1800 and the oldest surviving synagogue in the country — is nearing completion, with work slated to be finished in early 2016 and a formal rededication planned for the second half of August. 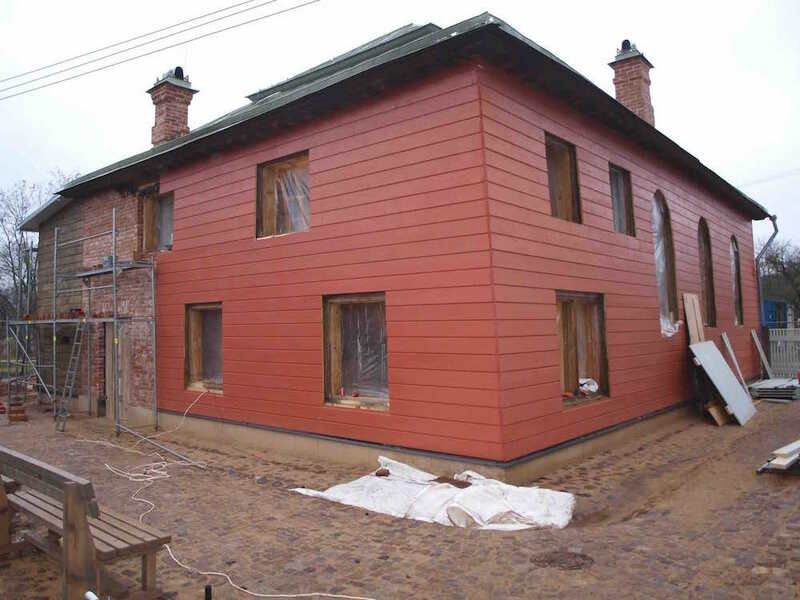 Ilya Lensky, of the “Jews in Latvia” Museum in Riga, has sent us an update on the restoration process as of mid-December, based on information provided by Dr. Pēteris Blūms, the supervising architect of the project and a prominent specialist on wooden architecture. The building, the only synagogue in Latvia to preserve an inner cupola, has been recently heat insulated and new exterior planking has been put in place. New window casements have been installed, and every day all three stoves are lit to heat the building.